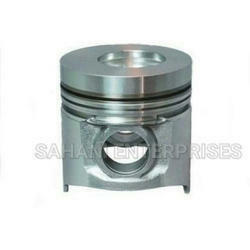 In order to retain remarkable position in this industry, we are providing a wide array of Three Wheeler Engine Piston. 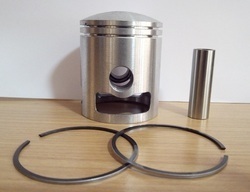 We have marked a dynamic position in the market by providing the finest quality range of Three Wheeler Piston. We bring for our clients a wide array of pistons for three wheelers. Produced from free cutting steel, these pistons are used in hydraulic system for bleeding. Offering higher efficiency, these pistons are used in Bajaj three wheeler & Piagiao three wheelers. Thanks to the premium quality raw material that this Three Wheeler Piston is made of, it is rust proof in nature. In order to cater the variegated demands of our clients, we are offering an excellent quality range of Three Wheeler Piston.